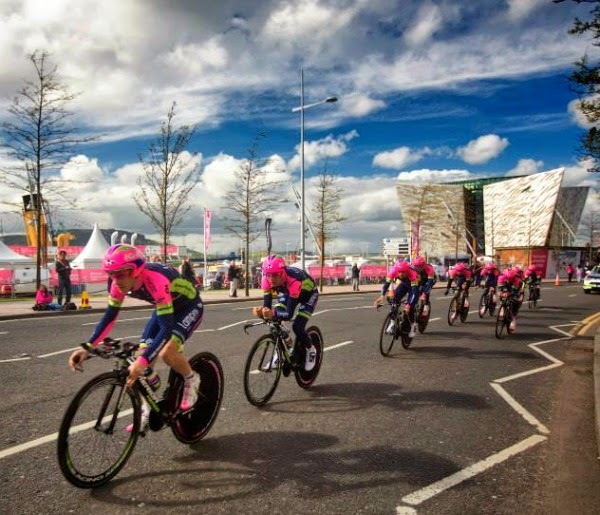 This weekend Northern Ireland is turning pink as one of the world's biggest cycling events, the Giro d'Italia rolls into town for three days. 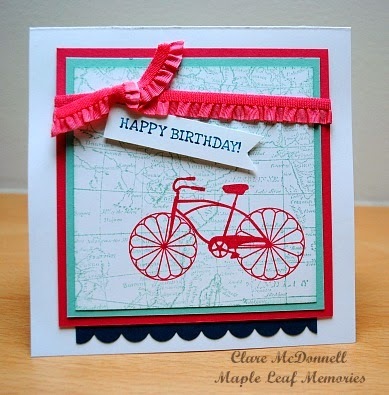 With nearly 800 million people watching the event worldwide, there is a real buzz in the city with lots of events taking place to celebrate the occasion so it seemed only right to acknowledge the event in our weekly card class with a bicycle themed card. I used Stampin' Up's Cycle Celebration and World Map stamps and the colours are Strawberry Slush, Pool Party and Island Indigo.